The summer of '69 in Soweto sure had its own Memphis Soul Corner. This early gem from The Beaters is ample evidence of the popularity in South Africa of Booker T and the MG's, Wilson Pickett, and bluesy, sinuous organ mixed with rock-oriented guitar and beats. Performing bare-foot in mandarin-collared white jackets, Sipho ‘Hotstix’ Mabuse Selby Ntuli, Alec Khaoli and Monty Ndimande became a hit with the urban hip black crowds in Pretoria and Johannesburg. Their first album “Soul-A-Go-Go” was released in 1969. American Soul and Jazz was assimilated into what became known as Soweto Soul. I am assuming that today's offering was their second release, in the same year. If you have not given their later album "Harari" a listen, do yourself a favour, download it here and also read a little more on the band that became Harari, and formed the foundation for Sipho Hotstix Mabuse's distinctive contribution to South Africa's music tapestry. The Blue Notes – a journey of faith! 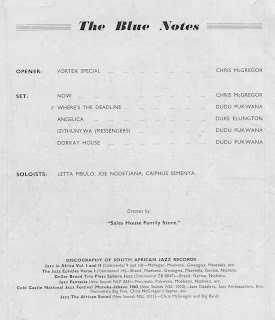 Amongst Ian Huntley's reel-to-reel collection is a June 1964 sound-desk transcription of the last concert played by Chris McGregor and the Blue Notes at Rondebosch Town Hall in Cape Town, a few weeks before they headed off into exile. Tony McGregor, Chris' brother, happily agreed to write a piece for Electric Jive in sharing this recording. Thanks too Tony for the scans of the booklet. 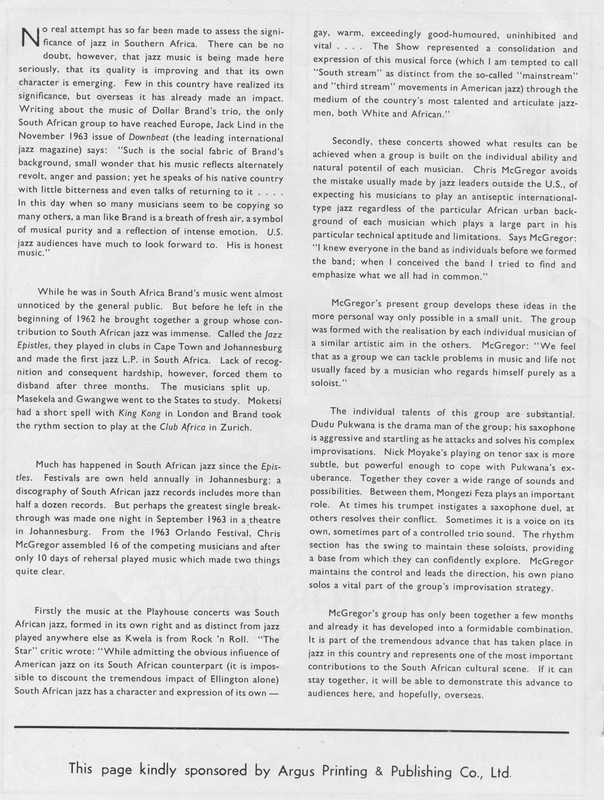 Tony points out that the booklet introduces Samson Velela as the bassist and Monty Weber as the drummer, because at the start of the tour Johnny Dyani and Louis Moholo had not yet been hired by the band. The concert track-list at the beginning of the tour is also different from what they chose to play at tour-end. Seeing this particular concert referenced in Mike Fowler's comprehensive Blue Notes website here, we realised that the song timings in Ian's tapes were just a little bit different. Tony contacted Mike and asked if he perhaps had an audio version we could compare with. 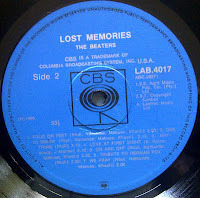 It turns out that this particular recording was thought to be 'lost'. 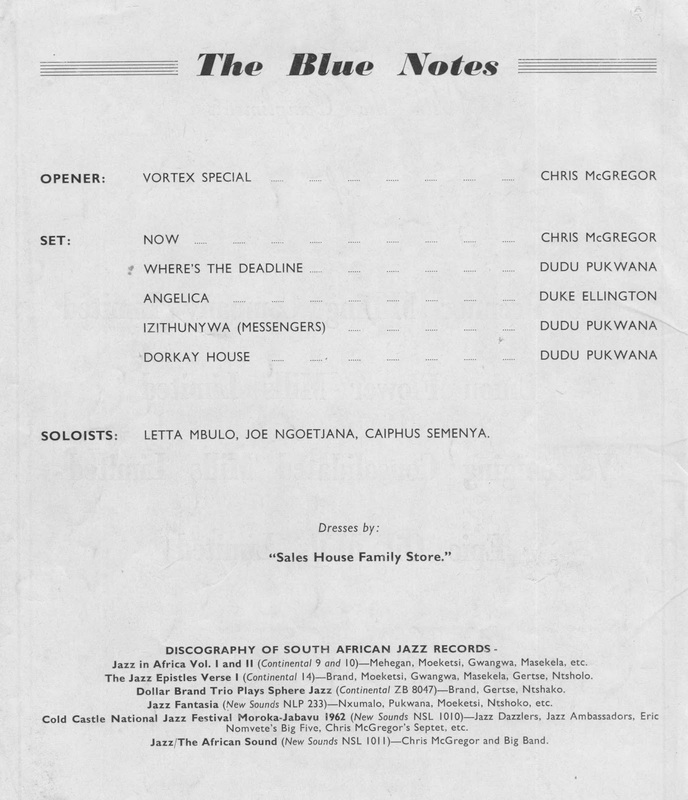 Without further ado - I hand over to Tony to set the scene for a further 85 recorded minutes of Chris McGregor and the Blue Notes that is now added to the public archive. “Getting out of the country was the goal we had been striving for, and about what would happen afterwards, I had only a vague hope.” – from Maxine McGregor’s biography of Chris McGregor: Chris McGregor and the Brotherhood of Breath (Flint, Michigan: Bamberger Books, 1995). When in 1963 Chris McGregor and five other South African jazz musicians got together to form the band which soon gained a large following of jazz fundis in South Africa as the Blue Notes they were embarking on what was essentially a journey of faith – they had little in the way of physical resources and almost no prospects either. 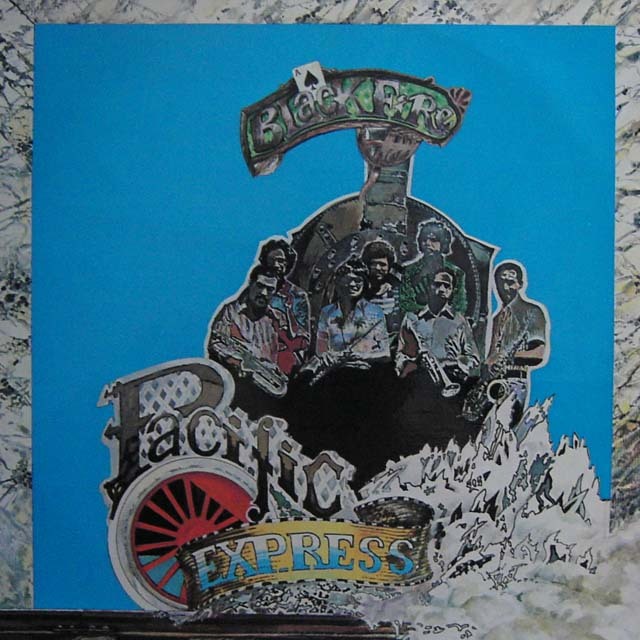 What they had was phenomenal musical talent and originality and a passion to play which consumed them in spite of the difficulties of being a non-racial band in race-obsessed South Africa with its incredibly restrictive laws and customs. 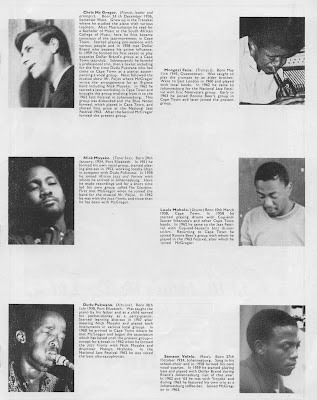 Five of the six members came from the Eastern Cape: Nikele Moyake (tenor sax) and Mtutuzeli (Dudu) Pukwana from Port Elizabeth; Johnny Mbizo Dyani (bass) from Duncan Village in East London; Mongezi Feza (trumpet) from Queenstown and Chris from Blythswood Missionary Institution near iGcuwa (Butterworth) in the former Transkei. Drummer Louis Tebugo Moholo-Moholo was from Langa, Cape Town. He is also the only surviving member of the band, the others all having died in exile except Nikele Moyake who died back in Port Elizabeth. 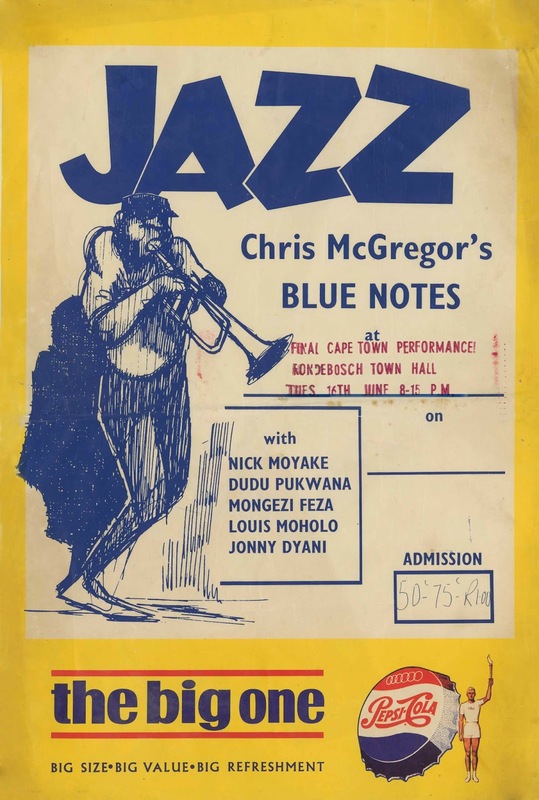 After the 1963 Cold Castle Moroka-Jabavu Jazz Festival Chris obtained funding to put together a big band using the best musicians from the festival. This band comprising about 17 of the top musos in South Africa did two shows and released the now-classic album Jazz: The African Sound, featuring six original South African jazz compositions all arranged by Chris. A journalist on the Johannesburg newspaper The Star, Maxine Lautré (later McGregor, as she married Chris), took over managing Chris’s musicians around this time and began to look for opportunities outside of South Africa for them, as opportunities in the country were becoming rapidly scarcer as apartheid hit the music scene harder and harder. 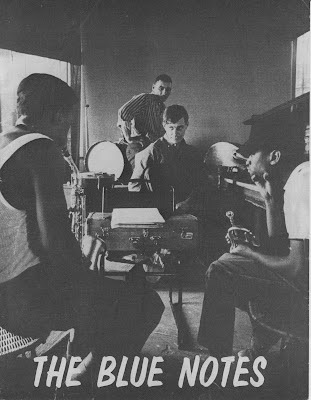 As Chris said in a later interview, “One had to be rash to play in a group like the Blue Notes at the time.” Maxine wrote to contacts all over Europe asking for help in securing paying gigs and one of these contacts organised, with the help of a tape of the band playing, an invitation from the Antibes Jazz Festival for the end of July, 1964. Then came a hurriedly-arranged tour of South Africa with the objective of raising some much-needed cash to get the musicians to Europe within a few months. Luckily they had already begun the tedious and long-winded process of getting passports – a really difficult issue for blacks in apartheid South Africa. “It is hard to say what we expected from Europe; certainly we thought there would be no difficulty in finding work,” Maxine wrote in her book. Indeed the only thoughts they had was how to get to Antibes in time! The gig presented here was towards the end of the whirlwind tour and took place in the Rondebosch Town Hall. So it was one of the last times they played in South Africa, and certainly the last time in Cape Town. It was a simultaneously harrowing time and a triumphant one. The worries about money, passports and the future generally made them all edgy. Their faith in the music held them together and the appreciation of the fans buoyed them and kept them going. The times in (brackets) are the actual times of the songs from Ian's tapes, shared here. The other timing comes from the list on Mike Fowler's Blue Notes blog. 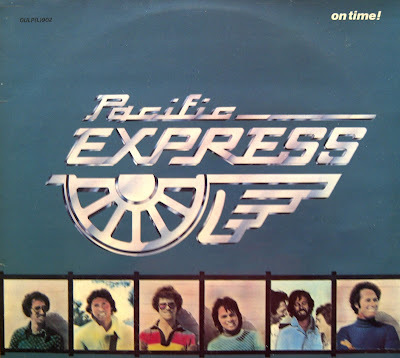 As a special Friday surprise electricjive is pleased to present the final instalment in the Pacific Express story – their LP On Time – containing the hits The Way It Used to Be, Give a Little Love and We Got a Good Thing Going On. This 1978 album has the same core team of Chris Schilder (paino, keyboards, backing vocals); Zayn 'The Voice' Adams, Jack Momple (drums), Paul Abrahams (fender bass), Vic Higgins (percussion and sounds), Issy Arafdien (guitar), Basil Coetzee (tenor), Barney Rachabane (alto), Stompie Manana (trumpet), with "Erica" on lead vocals. All the songs, except "Good Old Song" were composed by Chris Schilder - whose exceptional jazz piano we will feature a lot more in sharing Ian Huntley's archive. Earlier on in the band's history, Robbie Jansen took the alto role. By the time of this album Jansen was playing with Spirits Rejoice. 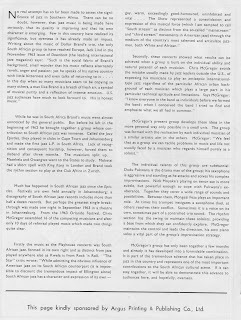 In their book "Unsung", (Sun Press, 2007) Chats Devroop and Chris Walton relate an interview with Robbie Jansen where he describes how Basil Coetzee introduced him to jazz, and what it was like playing with Pacific Express. "Basil first of all gave me a couple of jazz albums to listen to .. I started on the tenor sax but because Basil was playing the tenor sax I had to move to alto. ... and I got an alto sax to buy for R25. That's why I actually went to join the Pacifics, because Basil was a good saxophone player, a jazz sax player. Here I am going to learn all I need to learn ... I got twenty-five rand a week playing with Pacific Express when I got married, and that was playing every night, seven nights a week. That was a hundred rand a month. That was good money." 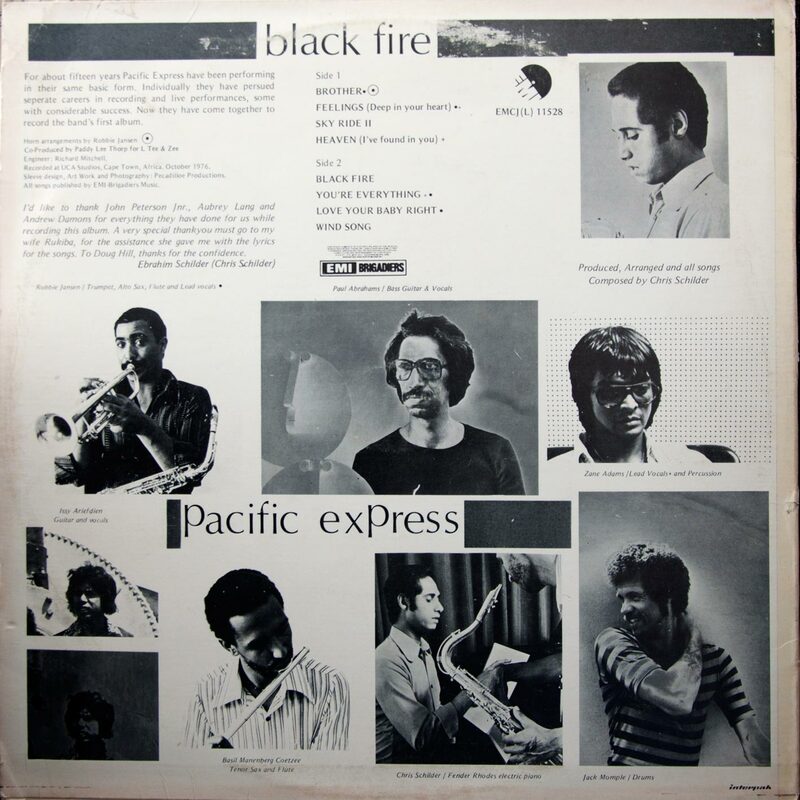 Pacific Express's debut album Black Fire was recorded in October 1976 and pays passing reference to the struggle against apartheid. 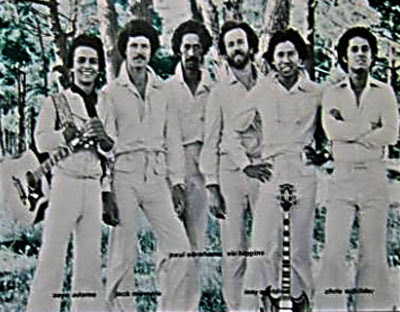 More often associated with themes not directly political the band were often called Cape Town's answer to Earth Wind and Fire. Formed in the 1960s by bass player Paul Abrahams and guitarist Issy Ariefdien (both previously in a soul band called the Pacifics), the band took on a new direction when in 1975 Chris Schilder joined.The band became a training ground for many young jazz performers from the Cape Flats. Players included Basil Coetzee, Robbie Jansen, Jonathan Butler, Barney Rachabane, Stompie Manana, and others. 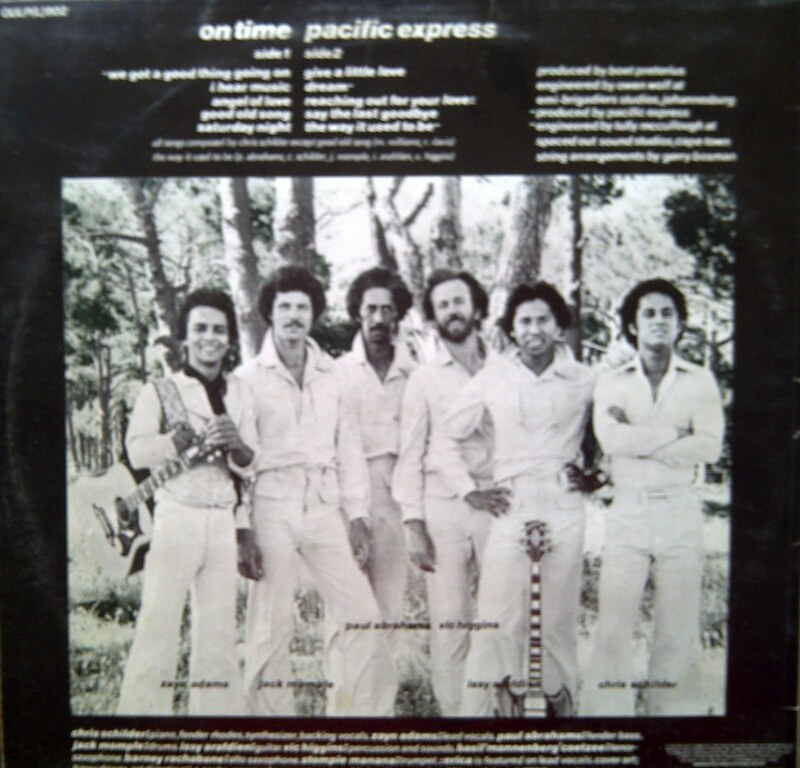 Previously at electricjive we have featured the album Expressions but we have yet to uncover their third LP On Time. Robbie Jansen (Trumpet, Alto Sax, Flute and Lead Vocals), Issy Ariefdien (Guitar and Vocals), Basil Manenberg Coetzee (Tenor Sax and Flute), Chris Schilder (Fender Rhodes electric piano(, Jack Mompie (Drums), Zane Adams (Lead Vocals and Percussion), Paul Abrahams (Bass Guitar and Vocals). Produced, arranged and composed by Chris Schilder. Various CD anthologies of Pacific Express are available. Try here. 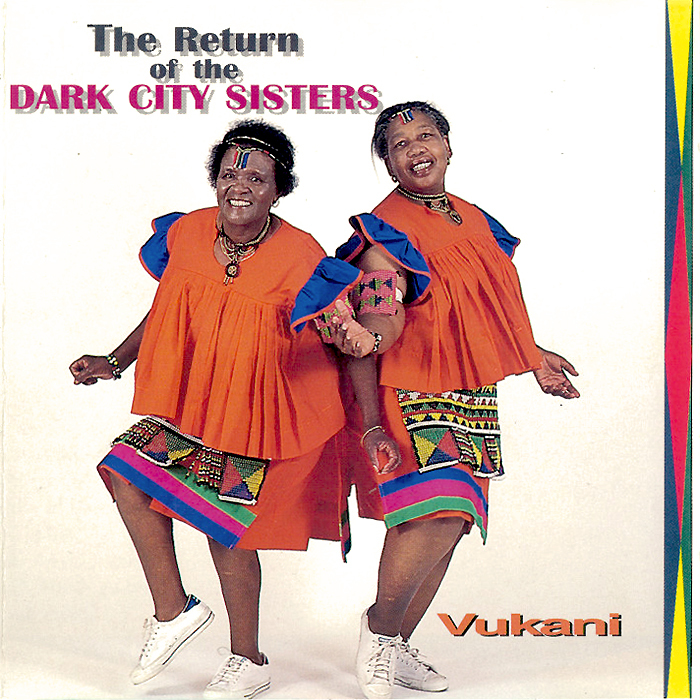 Today’s share is an album that heralded the return of one of the most successful female groups from Africa to studio recording: The Return of the Dark City Sisters – Vukani, released on Tusk Records in 1994. The success of the Dark City Sisters cannot be downplayed. They were the most well-known and biggest selling female group of the early 1960s. 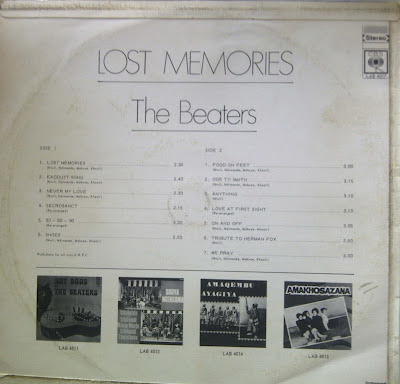 Their name was and still is a familiar one outside of South Africa – their records were pressed and sold very highly in Botswana, Zimbabwe, Kenya, Nigeria and Mozambique. 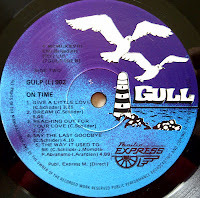 Their first recordings from 1958 onwards were very raw – perhaps way in the opposite direction of groups like The Skylarks – but by the early 1960s, the now infamous gentle and thick close-harmony amalgam had been honed. The early line-up was comprised of Nunu Maseko, Francesca Ngubeni and Kate Olene. Within a year, the regular recording team was boosted with the arrivals of Joyce Mogatusi, Irene Nhlapo, Esther Khoza, Hilda Mogapi and Grace Msika. Mogatusi’s unique, sweet voice became a recognisable trademark for the group, and her rise to the top was quite an effortless one. 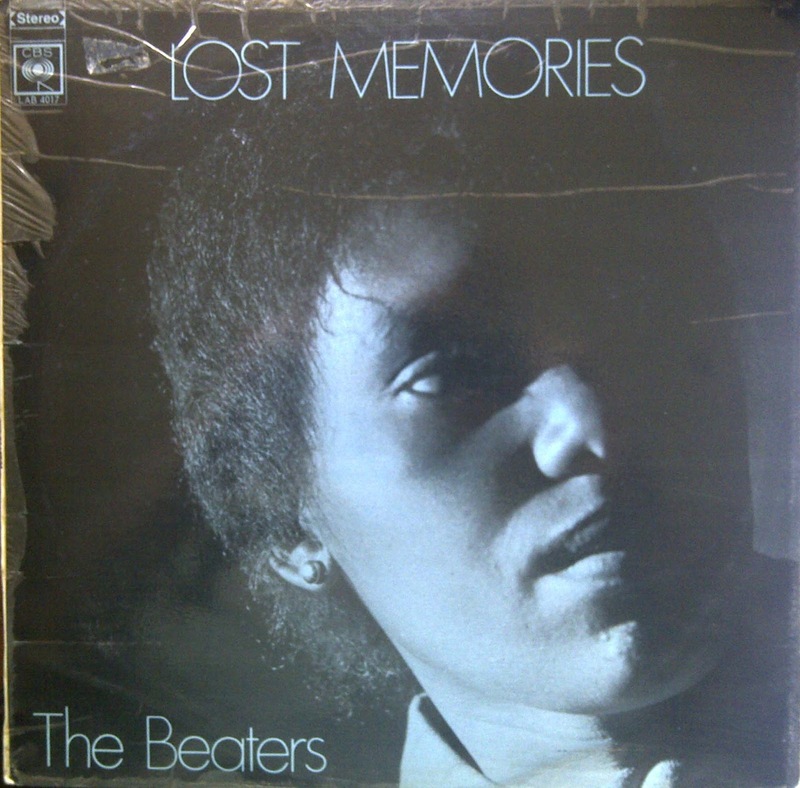 Under her guidance, the Sisters continued recording well into the 1960s, even after producer Rupert Bopape resigned from EMI and joined Gallo, forming Mavuthela and developing the new harder mbaqanga sound of the Mahotella Queens. Approaching producers Tom Vuma, Desmond Malotane and former Sesotho singing star John Moriri in 1994, the Sisters – by now consisting of Joyce Mogatusi, Grace Moeketsi, Doris Ntuli and Caroline Kapentar – recorded their first songs for nearly a decade. A mixture of older hits re-recorded as well as new material, The Return of the Dark City Sisters – Vukani does seem very appealing. However, this album suffers from what I would term “over-production”. That is to say, an over-zealous attempt to modernise the sound of the group. 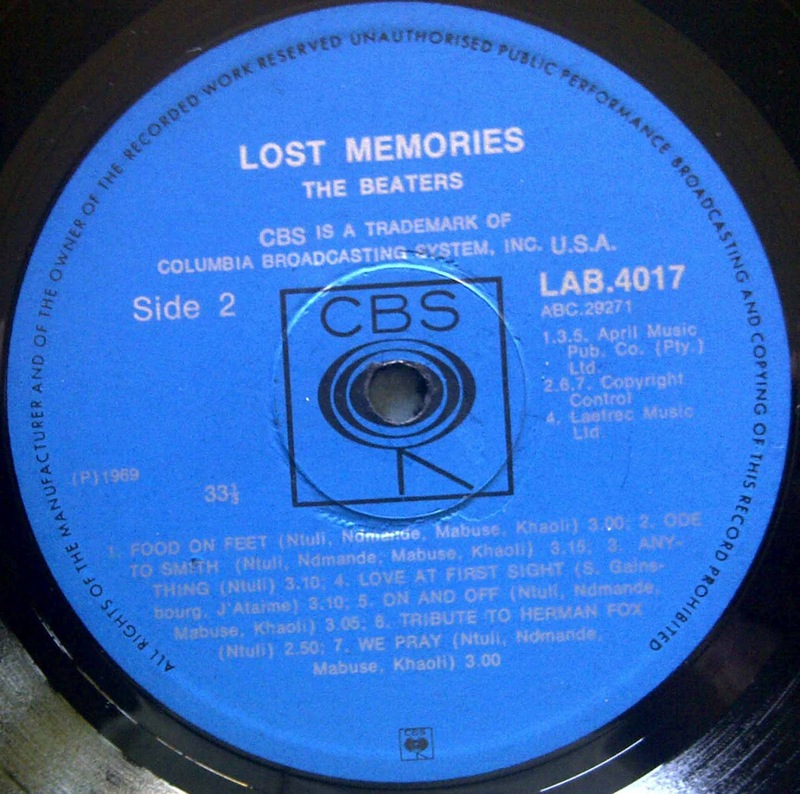 Heavy drumbeats are abundant on some of the tracks of this album, and there are numerous synth effects to boot. Also, many of Mogatusi’s lead vocals seem to have been recorded at least twice and then overlaid on top of each other. As a result, the re-recorded versions of the classic hits “Tamatie Yo – Yo” and “Vukani” (aka “Sekusile”) are less than satisfactory. But there is always a silver lining. To my ear, there are three fantastic numbers with “Mahutsana”, “Khabazela” and “Siyagiya” (aka “Eleventh Year Anniversary”). I would argue that this album is worth downloading just to listen to these three fine tunes. The vocals are tight and excellent, the instrumentation great. A shame then that some of the other tunes on this eight-track album are not up to scratch – a testament to poor production choices by those in the control room rather than the fault of the sublime vocalists. Elias ‘Shamba’ Lerole, former pennywhistler-turned-saxophonist, returns to groaning and provides the male counterpart to the Sisters on this album just as he did for them during the 1960s. He also delivers excellent pennywhistle jives for “Mahutsana”, by far one of my favourite songs from this album! I am not sure who provides the other instrumental accompaniment to the ladies on this album. Credits are scant and liner notes non-existent. 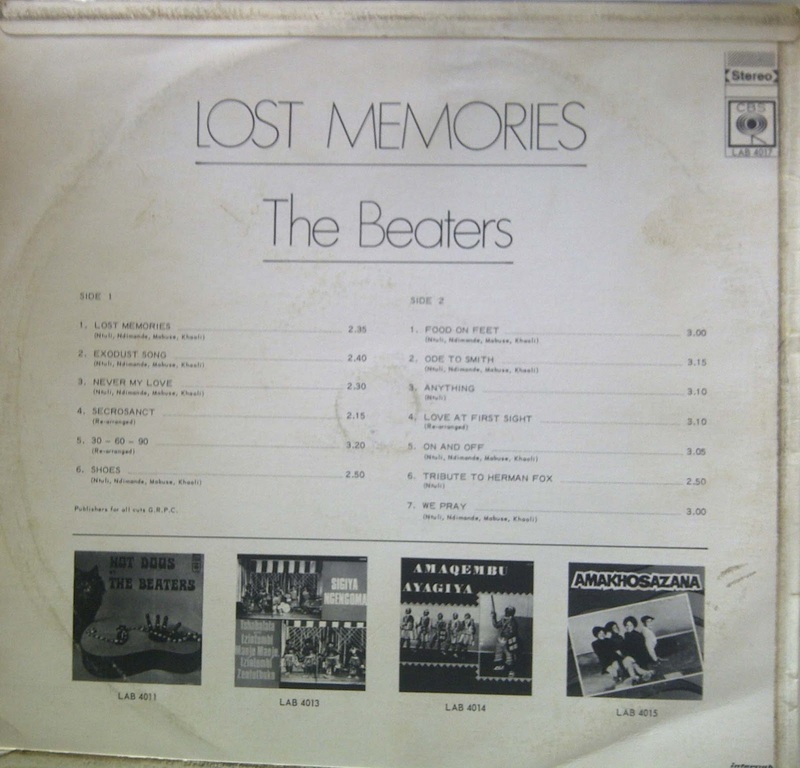 The backing is possibly provided a team of session musicians brought together for these recording sessions… although the Sisters may well have had a regular backing group at the time. The infamous article by Mandisi Majavu reveals that The Return of the Dark City Sisters - Vukani was not a great success, mainly due to the aforementioned "over-production". However, three more albums were produced afterwards, which Majavu's article describes as "unplugged". Electric Jive has yet to uncover either those albums or indeed the whereabouts of Mogatusi and Moeketsi, the long-standing mothers of the group. The two ladies were certainly still active in late 2007 when interviewed by The Sowetan, but there is no more recent information – and it appears that we are not the only ones seeking to find the ladies. In the meantime, please do yourself a favour – download this album to help fill in yet another missing piece of the Dark City Sisters puzzle. Some of the material certainly isn’t as strong as the classic hits of the early 1960s – but the legendary voices are still are lively and vivacious as ever, and that’s enough for me! In addition to the 1994 album, we present a special “extra” – four Dark City Sisters songs recorded in 1981 for Gallo-Mavuthela, produced by West Nkosi and featuring instrumental back up from The Shoe Laces (featuring Joseph ‘Texan’ Thusi on lead guitar, James Zondi on bass and Mandla Mtalana on the organ). The sound is very much in the vain of Amaswazi Emvelo and similar artists of the early 1980s, but the multi-layered vocals of the Sisters are quite sublime. For almost a year we had a request looking for this album in our side bar below. Finally a copy surfaced last year and today we take great pleasure in featuring it. 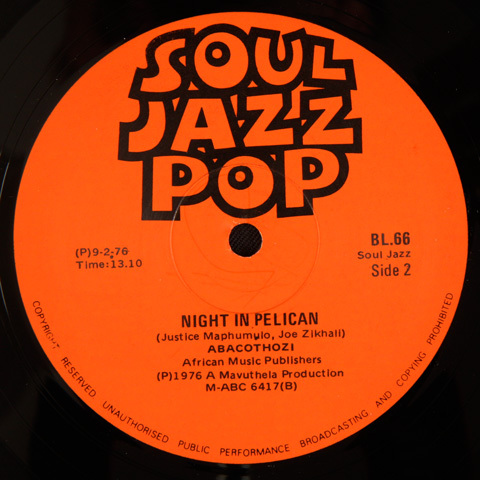 Night in Pelican features two long, single-sided tracks that slip out of the bump jive groove — the style that developed from Dollar Brand's seminal Mannenburg (1974). 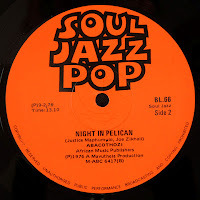 But where the early bump jive tracks have a slower, more jazzier reference to the majuba tradition, the tracks here are fast, funky and a lot more danceable — straddling the organ jive sounds of the Movers and the disco sound that would soon follow. 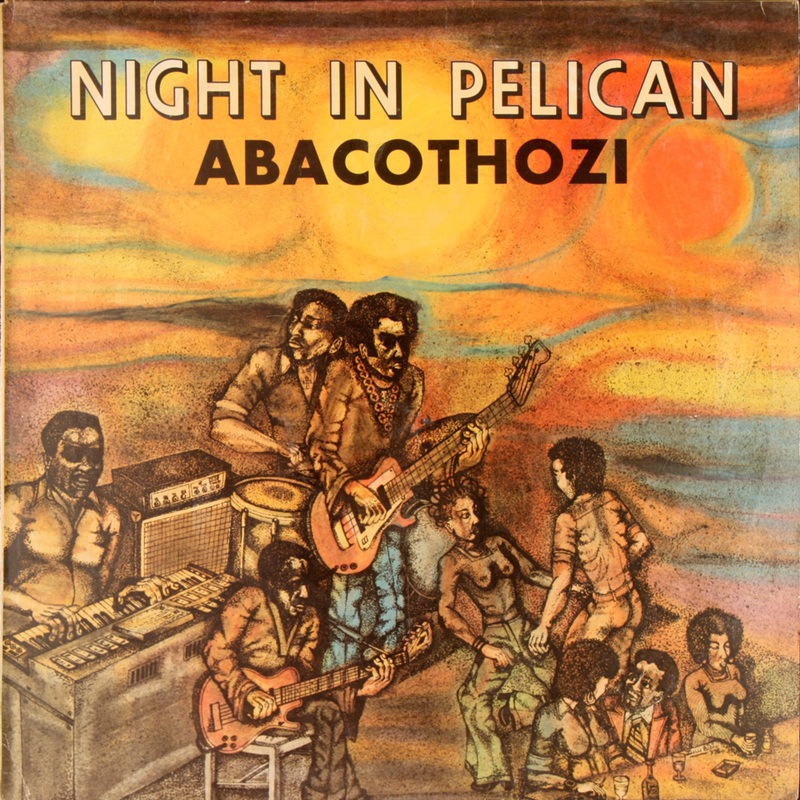 The cover of Night in Pelican features a drawing by Zulu Bidi, the bassist for Batsumi, who also designed the cover for their debut album. His Pelican album image features the band, presumably Abacothozi, in a somewhat psychedelic African landscape that channels the club itself with its patrons drinking and dancing to their vibe. 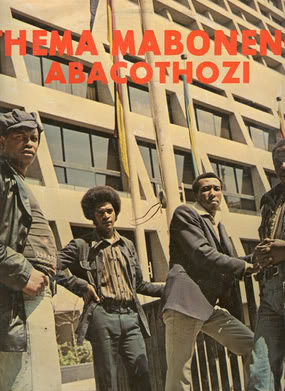 The title track of Abacothozi's Thema Maboneng album is featured on Kon and Amir's compilation disc Off Track Volume 2 - Queens (BBE, 2008) (Though it is incorrectly titled as Theme Maboneng).